Los Angeles, CA – (January 2012): Where heavy metal meets rocker chic, China Glaze® introduces the Spring 2012 collection, ElectroPop. 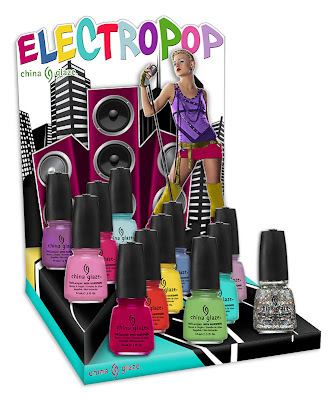 Inspired by all things girly, edgy and fun, the 12 shades of ElectroPop bring out the inner rock star in all. For flash and glam this spring, China Glaze® hits the stage in style!